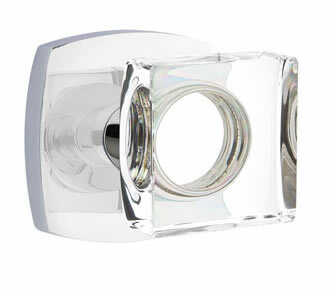 Emtek's square crystal knob blends the classic look of a vintage crystal style knob with a modern rosette. Available in multiple finishes to coordinate with your home's decor. - Fits standard door Prep. 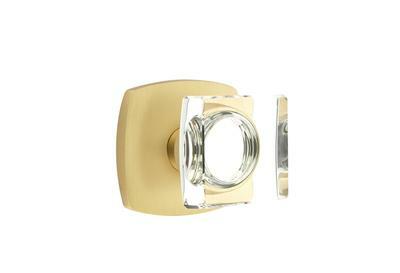 - Available with 2 3/8" or 2 3/4" Backset (Non-Adjustable, Must Specify when ordering). - Privacy locks function using a rosette push pin on the interior and pin hole exterior for emergency unlocking. - Available with square or radius corner strike and faceplates. Drive in Latches also available. - Concealed Faster or CF Mechanism upgrade is a different mounting type that will have no exposed mounting screws. 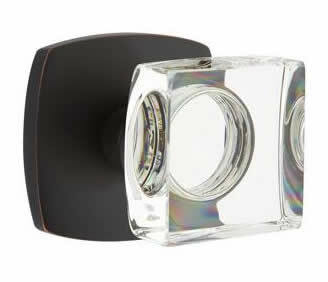 What comes with the Emtek Square Crystal Knob? 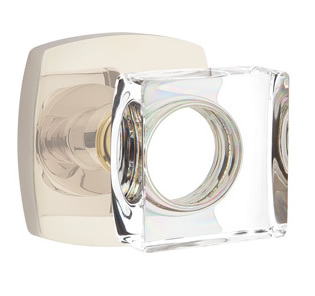 Passage and privacy sets will come with knobs and rosettes for both sides of the door, along with a latch, strike and faceplates and mounting screws required. 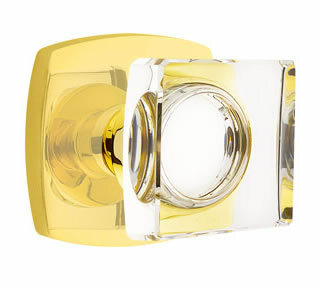 Dummy Sets are surface mounted knobs or levers, which means that they will not have a latch mechanism or strike plates. 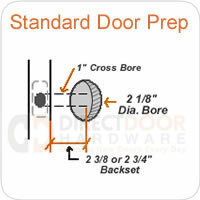 Dummy sets are meant to be installed on the surface of the door using the mounting plate and screws provided. If you door already has a hole bored in it, the dummy function is not what you would want to order.